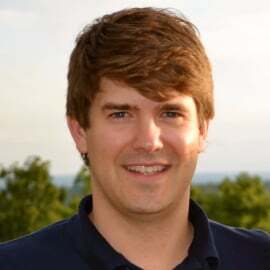 Jimmy is the CEO of All Points Broadband, a hybrid-fiber-wireless ISP and WISP consolidator based in Ashburn, Virginia. As CEO, Jimmy is responsible for All Points’ strategic direction and leads its M&A team. Jimmy serves on the Board of Directors of WISPA, the national Wireless ISP Association and chairs its Legislative Committee. In this capacity, he oversees WISPA’s policy agenda and all of its activities in Washington, DC. He meets regularly with FCC Commissioners and members of Congress, and has testified on before the United States Senate regarding rural broadband and the Connect America Fund. Jimmy also helped found and serves on the board of directors of WISPAC – the political action committee for the fixed wireless industry. Before joining the fixed wireless industry, Jimmy worked at a major international law firm, where his practice focused on M&A and he represented clients before federal regulatory agencies. Jimmy previously served as Virginia’s Assistant Secretary of Transportation in two administrations, where he oversaw legislative and regulatory affairs for six agencies, and was the youngest assistant cabinet secretary in Virginia history. Jimmy earned a law degree and an MBA at the University of Virginia, where he was the Managing Editor of the Virginia Law Review, and received the business school’s two highest academic awards. He is an eagle scout and former Assistant Scoutmaster and lives with his wife and two children in northern Virginia.